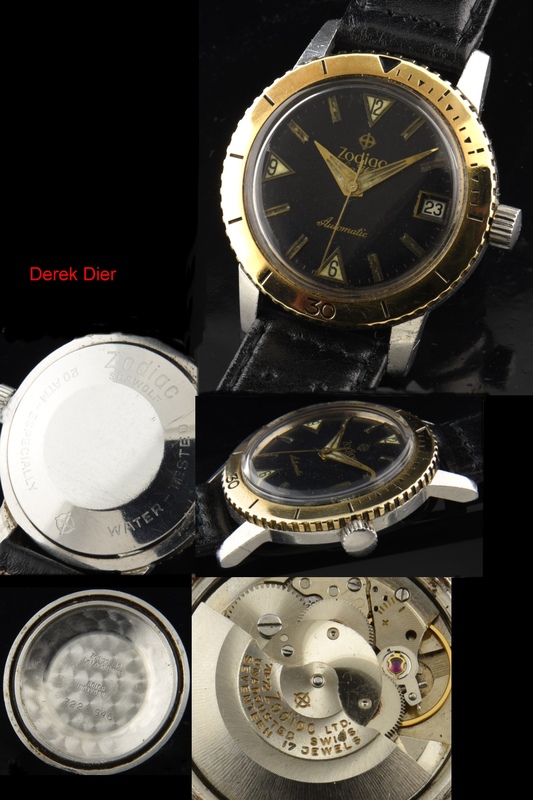 Home / Shop – Vintage Watches For Sale Used & Antique / Uncategorized / Zodiac Seawolf Uncommon Version 10k. bezel. Zodiac Seawolf Uncommon Version 10k. bezel. 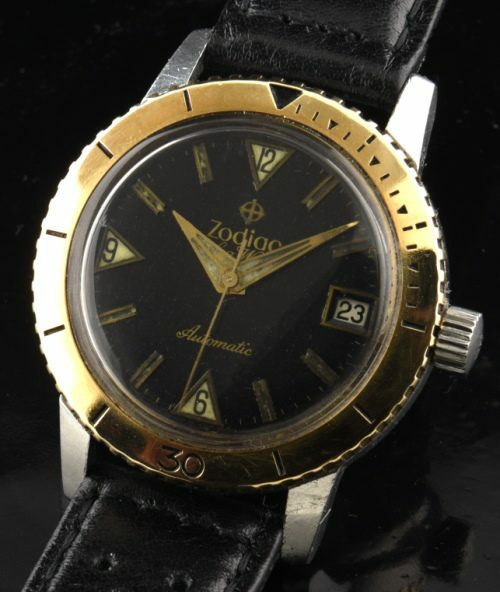 This is an uncommon variety of a 1960’s ZODIAC Sea Wolf we’ve found. The 35mm. steel case has an unusual 10k. solid gold turning bezel and unpolished all around. This vintage watch has amazing segmented sword hands and original black dial with gilt printing plus raised triangular markers. The automatic winding ZODIAC movement was just cleaned and is accurate. This is a pretty cool find!